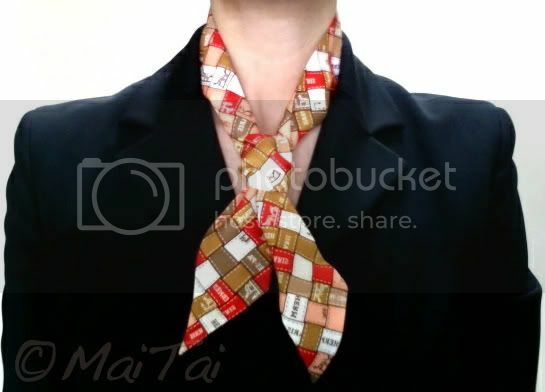 It's Sunday again and for a second I could not remember if it's LBS or LBD day today... LBS it is, and today scarfing it up with a Twilly in a tie knot, a cool and breezy way to wear a Twilly in summer. This is really cute - I will have to try it out with my one and only twilly soon!! Thanks for the idea. Maitai, you always look beautiful and elegant..
Love your style. Please keep posting your beautiful pics, your blog is my daily tonic ..